China’s richest man is finally going Hollywood. 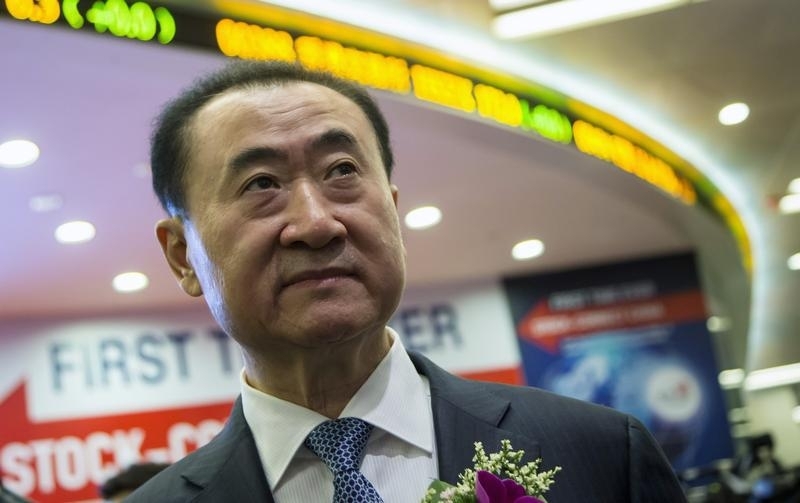 Wang Jianlin’s Dalian Wanda is set to add the U.S. movie studio behind “Jurassic World” to a leisure and lifestyle portfolio that already includes a Spanish soccer team and the operator of Ironman races. Buying Legendary Entertainment should help fill seats in the cinemas Wanda owns around the world – and perhaps ultimately bolster China’s soft power. The Chinese entertainment group wants to buy a majority of Legendary in an agreement that would value the film producer at between $3 billion and $4 billion, Reuters reported on Monday, citing a person familiar with the matter. Wang has flirted before with red-carpet deals. Two years ago he was in talks to buy a piece of Lions Gate, the studio behind the “Hunger Games” franchise, and which counts media mogul John Malone as an investor. A bit like Malone, Wang’s ambition to own producers of content, not just its distributors, is savvy. But as it happens, Wanda also controls the largest theater chain in the People’s Republic in addition to the No. 2 cineplex in America, AMC Entertainment. Gaining control over a studio may give Wanda greater leverage in ensuring moviegoers go out for a night at the movies instead of taking one in on the couch. Splashy action flicks that play well on the silver screen are one way to entice consumers out of their living rooms, particularly in China. Legendary is known for big budget films that can cost more than $200 million to produce. And movies like “The Dark Knight” and “Godzilla” translate nicely around the world. Box-office ticket sales in China rose 50 percent last year compared to 2014, ringing up almost $7 billion, the Los Angeles Times reported. But the PRC is picky in what it allows theaters to screen; the government closely controls the flow of imported movies. Under Wanda’s ownership, Legendary’s films should have a better chance of winding up on screens in China’s booming movie market. Finally, controlling a piece of Tinseltown comes with other, softer benefits for the Middle Kingdom: China itself could star in a more favorable light onscreen. Perhaps the next time Godzilla ravages his way through Tokyo, a Chinese scientist will be the one to save the day. Dalian Wanda Group has agreed to take a majority stake in Legendary Entertainment, valuing the U.S. movie studio at between $3 billion and $4 billion, Reuters reported on Jan. 4, citing a person familiar with the matter. Legendary founder and Chief Executive Thomas Tull and its management will own the rest. Japan’s SoftBank Group and investment firm Waddell & Reed are among the owners who have agreed to sell their stakes in Legendary. Wanda, controlled by China’s richest man, Wang Jianlin, also owns U.S. theater chain AMC Entertainment Holdings. It is the leading shareholder in China’s biggest theater chain, Wanda Cinema Line.